Atlcahualo; which means the cessation of the waters, or the “sementeras are not in need of water”. Its deity is Chalchitlicue, Goddess of Water or The One with the Jeweled Skirt. It began on the 2nd day of February and was celebrated with sacrifices honoring its Goddess as well as Tlaloc (God of Rain) and Quetzalcoatl (Feathered Serpent), both considered prototypes of perfection among the ancient Mexicans. Tlacatzipehualiztli; which means “seedtime” or the agricultural ritual where the “cocollo” (curled bread) was consumed. Its deity is Xipe, God of Harvests, related to the red God Tezcatlipoca, which means The Smoking Mirror, God and Lord of princes and warriors. Tzoztontli; means small vigil; during this month they blessed the lands sown with seed to which the laborers poured incense. Its deity is Coatlicue (Goddess of Earth) and is associated with the season of Spring. The pouring of the incense allegorizes the need for purification and for the transmutation of the creative energies. Coatlicue, Goddess of Earth, is a means to represent the Eternal Divine Feminine. Hueytozoztli; means great vigil; during this month, old and young lived by penances and sacrifice. Its deity is Centeotl, God of Corn. Throughout the ancient cultures, corn, just as rice and wheat, emphasizes the importance of preserving and protecting the creative energies. Penances and sacrifice were not related to their mere physical aspect, but to the self-sacrificing of the animal passions, to the right ways of thinking, the right ways of acting and the right ways of feeling. Toxcatl; means rope or That Which is Dry; during this month the custom was to celebrate great dances where their rulers, dressed with pompous jewels, tiaras and crowns, participated. Its deity is Tezcatlipoca (Smoking Mirror), God of Princes and Warriors. Jewels are a symbol of the virtues of the soul, virtues that are discovered through self-discovery, or self-Gnosis. Etzalcuaiztli; which means The Food Made of Beans, all gods related to the rain were honored during this month. Its deity is Tlaloc, God of Rain. Tecuilhuitontli; which means the Small Feast of the Lord. Its deity is Huixtocihuatl, Goddess of Salt. Hueytecuilhuitl; means the Great Feast of the Lord. Those in poverty were fed during this month. Its deity is Xilonen, Goddess of the Ears of Corn. Feeding the poor is not only referred to in its physical aspect, but as a means to allegorize the handing of Wisdom (Gnosis) to those in need of it. Miccailhuitontli or Tlaxochimaco; which means the Small Feast of the Dead. It was accustomed during these festivities to hand and give away flowers. Its deity is Mictecihautl, Goddess of Hell. 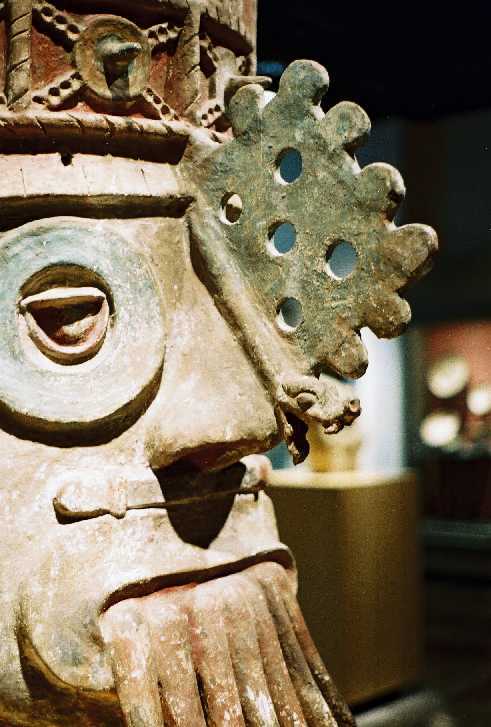 We must understand that death among the Aztecs was not exclusively related to the death of the body, but rather the death of psychological defects. Hueymiccailhuitl; which means the Great Feast of the Dead. According to some opinions, its deity is Tonatiuh, among others is Xocohuetzi (fruit). Its other deity is Xiuhtecutli, God of Fire. Ochpaniztli; the month where a feast was offered to the Mother of all Gods. Dances and sacrifices were held in extreme silence. Its deity is Tlazolteotl Teteoinan, Mother of all Gods. God as Father is Wisdom and God as Mother is Love. Paying tribute to our Divine Mother is performing the work to develop true love within ourselves. Teotleco or Pachtontli; which means the Arrival of the Gods. A significant celebration was conducted during this last month. Its deity is Quetzalcoatl (Feathered Serpent). Tepeilhuitl; which means The Feast of the Mountains or Hueypachtli, Great Hay. Its deity is Tepeyohtli, the Heart of the Mountain, God of Caves. Quecholi; which means Precious Bird. During this month they used to fabricate arrows and darts for war. Its deity is Mixcoatl, the Cloud Serpent. Both bird and serpent allegorize cosmic principles. In addition of the serpent being a symbol of Wisdom, it is also a representation of the sexual instinct. The bird represents that which is mystical and spiritual. Panquetzaliztli; which means the Raising of Flags. Its deity is Huitzilopochtli, the Inspiration of War and Guide of all Aztecs. The allegory of war points to the teaching of not fighting others, but to the daily fight we must endure within our own selves. Atemoztli; which means The Descent of the Waters. During this month the Tlaloques (Gods of Rain) were honored. Its deity is Mictlantecuhtli, God of the Dead. Tititl; which means shrunken or wrinkled. Its deity is Ilamatehcuhtli, Ancient Goddess or Goddess of the Ages. Izcalli; which means resurrection. Its deity is Xiuhtecuhtli, God of Fire. He was also acknowledged as the Lord of the Year.